MY PROMISE TO YOU - Choosing the right mortgage company can be difficult. Unlike many professionals, you probably will not meet me until after you hire me. Furthermore, different lenders have varying qualifications, experience, and yes different pricing. One thing for sure is that finding and closing a mortgage loan requires work, a lot of work. Ultimately the best loan for you depends heavily on the individual loan officer's own efforts and knowledge! If you honor me by allowing me the opportunity to find your loan, I guarantee that I will give you my very best effort. This I promise you! OUR DIFFERENCES ARE! - Savings - Service - Reliability - Best fit programs - Credit repair advice - No money down option - Competitive rates - Upfront Mortgage Broker® - Family owned & operated. OUR MISSION STATEMENT! - Our mission is to earn the reputation in our core market as being the most efficient, lowest cost, reliable, helpful, and customer friendly retail provider of home loans. In other words, to be the peoples first choice for their mortgage lending needs. Hello, my name is Sharon, and welcome to the Peoples Choice Home Loans Company! 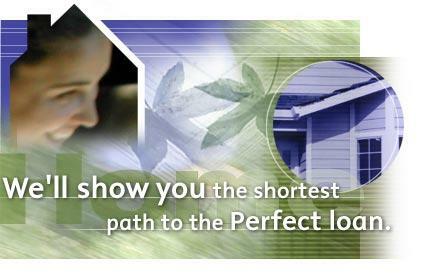 Peoples Choice specializes in being a low cost provider of home loans. With over 150 loan programs from lenders across America, we believe we can help you find a program that best meets your specific need. Peoples Choice Home Loans, prides itself in being a non-traditional mortgage company. Because of this, we are able to provide you with first class customer service and at the same time a low cost mortgage alternative. With Peoples Choice, you keep 100's to 1000's of your hard earned dollars in your pocket. I serve as the company's mortgage broker, and I personally assure that every borrower receives the very best in customer service and the very best program available for their specific need. In other words, I locate loan programs specifically tailored for each borrower. I also make sure that I provide each borrower the very best in value for both the short term and for the long term. I shop for the lowest combination of interest rates and closing costs available to me in the market. I don't believe you will find a better deal! One additional thing, People Choice Home Loans, is an Upfront Mortgage Broker®. Being an Upfront broker is very important because it means that you know where you stand with us from the very beginning of the loan process. Peoples Choice Home Loans is family owned and operated with extremely low overhead costs. We pass our savings directly to you the borrower! We work hard to uphold our image of being the peoples first choice for their mortgage lending needs! Give us the opportunity to show you what we can do for you! Some of the loan programs we offer include: FHA Loans, USDA Loans, VA Loans, Conventional Loans, Jumbo Loans, and Reverse Mortgages. View our Peoples Choice Loan Options page for details or give me a call for more information. Peoples Choice Home Loans, LLC is committed to helping you find the right mortgage product for your specific need. We understand that every borrower is different, and we offer a variety of products to meet your individual requirements. We make the process of securing a mortgage simple and straightforward. Please stay around and explore our web site for additional information. On the "HOME" tab at the top of this page you will find links to my "Electronic Business Card", and my professional and social media pages. Also on the "LOAN CENTER" tab at the top of the page you can request a "Pre-approval Letter", "Upload Items Needed", or "Contact Us" for a quote. One other note, on our "RESOURCES" tab at the top of the page you will find links to information such as "Free Credit Reports", "HUD Counselor Lists", "Consumer Handbook ARMS", "Your Home Loan Toolkit Booklet", "Settlement Cost Booklet" and more. Thank you for visiting Peoples Choice Home Loans. Please contact Peoples Choice Home Loans to find out more about the products and services we provide or call or email me with any questions. We serve all communities in Georgia - Thomasville, Albany, Valdosta, Moultrie, Tifton, Cairo, Bainbridge, Camilla, Columbus, Macon, Savannah, Duluth, Roswell, Smyrna, Decatur, Chamblee, Norcross, Stone Mountain, College Park, Jonesboro, Marietta, and Atlanta to name a few.